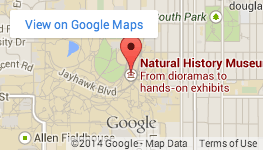 Exhibits Four floors of exhibits at the KU Natural History Museum offer ancient mosasaurs and other fossils, science of parasites and microbes, live insects, snakes and lizards, and a massive natural history diorama that dates to the 1893 World’s Fair. Have you ever wondered what an elephant skull looks like in comparison to that of a mouse? 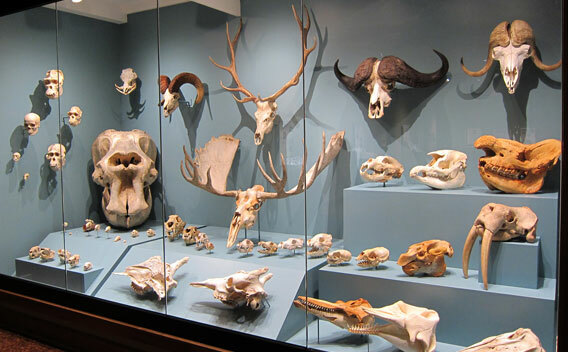 This exhibit features 48 different types and sizes of skulls. What we learn from skulls, including shape, teeth and eye sockets, helps us identify species of mammals and their way of life. Bugtown includes live insects such as the blue death-feigning beetle and giant cave cockroaches. 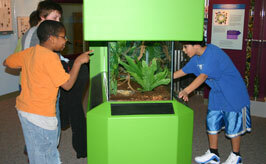 At this third-floor exhibit, you can crawl through the worm tunnel, learn how dermestid beetles clean up and find out how insects eat. Plus, you can plop into a booth at Grub’s Diner, where the eating of other patrons is strictly prohibited. 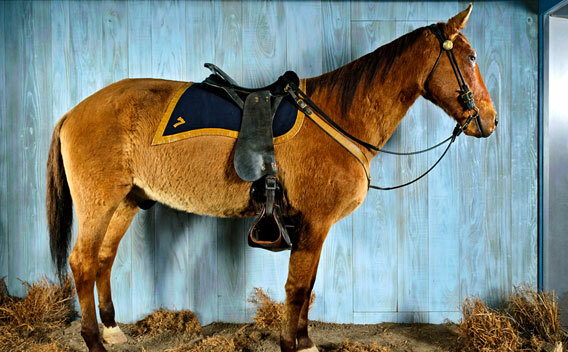 The KU Natural History Museum is the home of Comanche, the horse ridden by Captain Myles Keogh at the Battle of Little Bighorn in 1876. For generations, Comanche was the most famous horse in the United States, revered in death as much as in life. 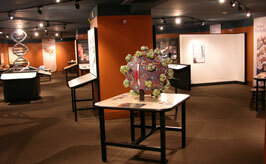 Museum staff completely restored the mount and created a new display on the fourth floor in 2005.